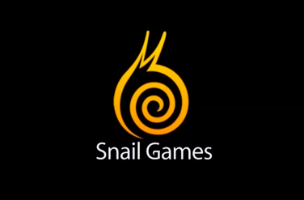 PC game developer Snail Games is branching into the mobile arena with the announcement of three new games in development. The company best known for massively multiplayer online role playing games (MMORPGs) like Age of Wushu: Tempest of Strife [pictured], is branching out from this single genre, with games for strategy, puzzle and RPG fans. Here’s the company’s breakdown of what to expect from its mobile lineup. Heroes of Gaia – An all-new 3D turn-based strategy mobile game, Heroes of Gaia lets players enter a fantasy world of magic and mercenaries, paladins and power-hungry warlords as they raise forces in a bid to rule the land. Puzzle Heroes Saga – Explore a new type of game, mixing match-three puzzles with combat in an RPG. Guide characters on their journey in a world of magic and mayhem, growing and expanding arsenals throughout the quest. Players will discover all kinds of amazing treasures in this unique puzzle game. Taichi Panda – Taichi Panda brings an action RPG adventure. Players journey through a visually stunning world in a three-quarter view perspective where they battle unique enemies and powerful bosses using accessible analog replicated controls. “With the unveiling of mobile games, Snail Games is offering a glimpse of the company’s remarkable future,” said Shi Hai, CEO of Snail Games China. While formed to bring MMO and interactive online games to players in China, the company’s US base in Santa Monica, California will offer these new experiences to gamers all around the world. All three games are in development for iOS and Android, though release dates are currently unknown. Check back soon for more.